Q - Do I need a fishing license? Q - Where should we fish? A - Good question. 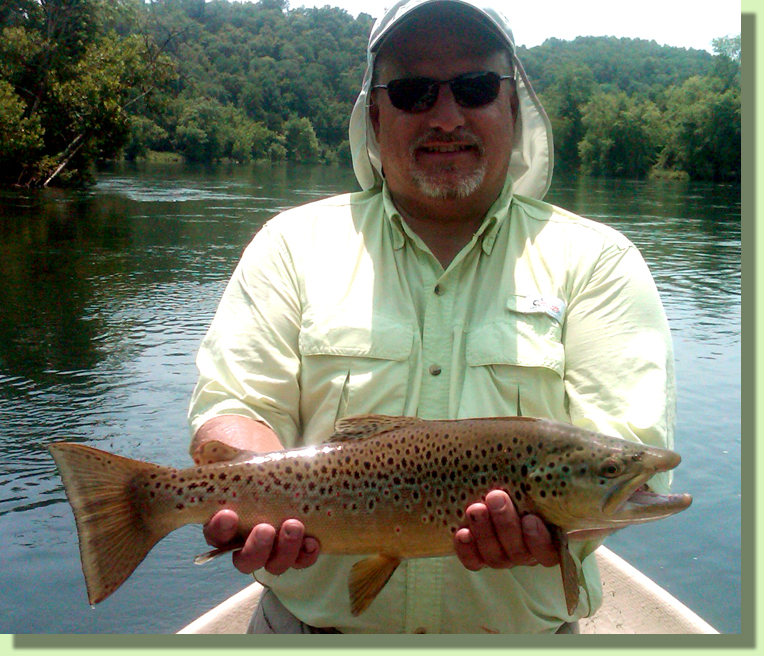 Many traveling anglers like to fish close to where they are visiting. We offer float trips close to many of the southeast's larger cities and destinations. 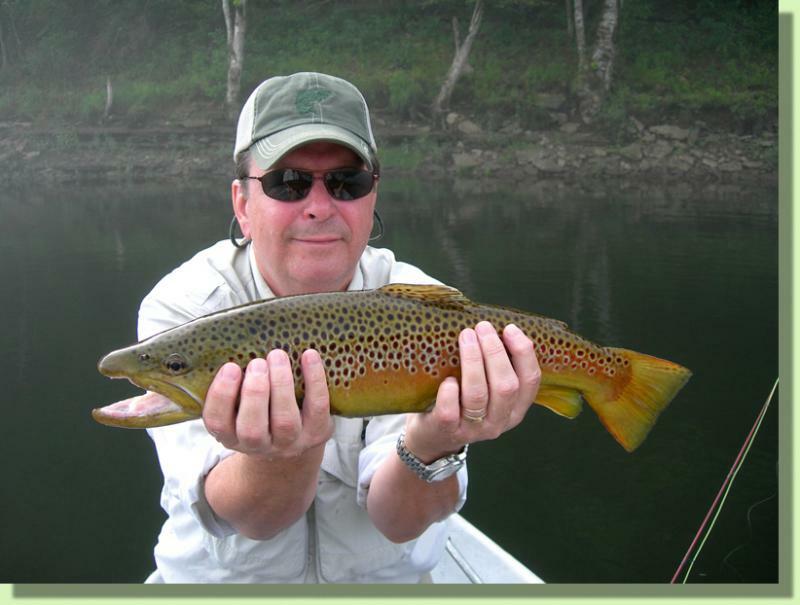 We also have many long time clients who prefer to book their guided trip, then decide which river to fish a few days before the trip. This allows them to spend their time on the most productive river based on recent results. 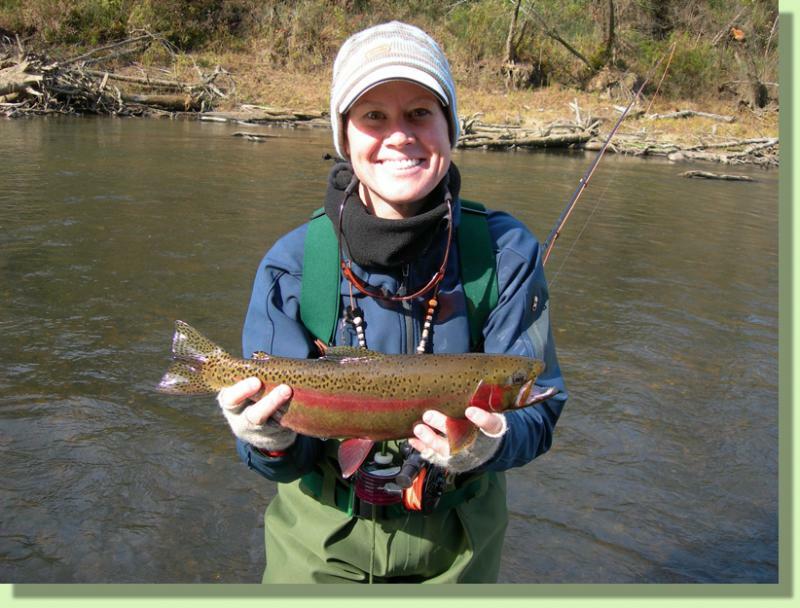 Our guided fly fishing trips in Tennessee, Kentucky and Georgia are very flexible and can fit into any schedule. Q - What items should I bring with me to make my trip more enjoyable? A - We recommend bringing a hat (wide brimmed preferred), light raingear, camera, sunscreen, polarized sun glasses and any favorite gear you might enjoy using. Also, don't forget any medications you may require. We also reccommend dressing in layers for two seasons. Synthetics insulate and breath well and will keep you comfortable when used in layers. Q - Are there any items we should leave at home? A - Bananas! . don't bring them or items containing them. Personally, I wouldn't even eat one on the day of the trip. Don't wear or use anything with a picture of a banana or the word "banana" on it. This includes sunscreen. I'll be happy to explain while we're fishing. Trust me on this one. Q - What do we do if the weather is poor? A - Weather cancellations are almost always at the customers discretion. Often times, some of the best fish turn up when the weather is not so perfect. In the event that we decide to cancel due to poor weather, We will apply your deposit towards a future date. Q - Is it ok to use spinning gear? A - Yes, I can provide the gear or you can bring your own, just let me know your interested in spin fishing before the trip. Q - Can we keep the fish we catch? A - No. 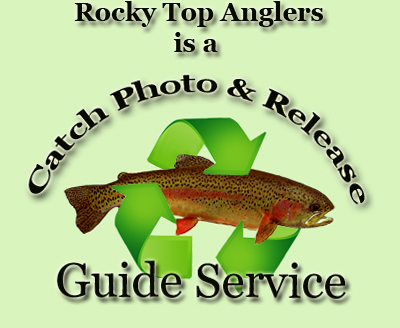 Rocky Top Anglers practices Catch, Photo & Release. We strive to release every fish without harming them, to be caught by another lucky angler sometime down the road. Q - What do we do if we catch a trophy? A - Great question. All of our guides carry high quality cameras and measuring devices, allowing us to accurately document your trophy. We can also refer our trophy anglers to incredible Blackwater Fish Replicas ﻿for beautiful replicas of their trophys.